Apex Line Marking solutions has been providing line marking and related services to the Greater Sydney region since 1994. We provide durable and high quality services that endure the tests of time to both the public and private sector. To stay the best, we only use the latest and greatest equipment which is all RTA approved. We cater to all business sizes and budgets, from a family owned factory to commercial shopping centre car-parks. We appreciate this may cause problems for busy businesses so we always carry out our work after-hours when necessary. To decrease on-cost charges to our customers we supply all the products we install, including car-park essentials such as wheel stops, pedestrian barriers, bollards, wheel reflectors, gates and much more. Ask us more about our services. To find out how we can help you and to arrange for a site visit, contact us on +61281883922 to talk to one of our specialists. 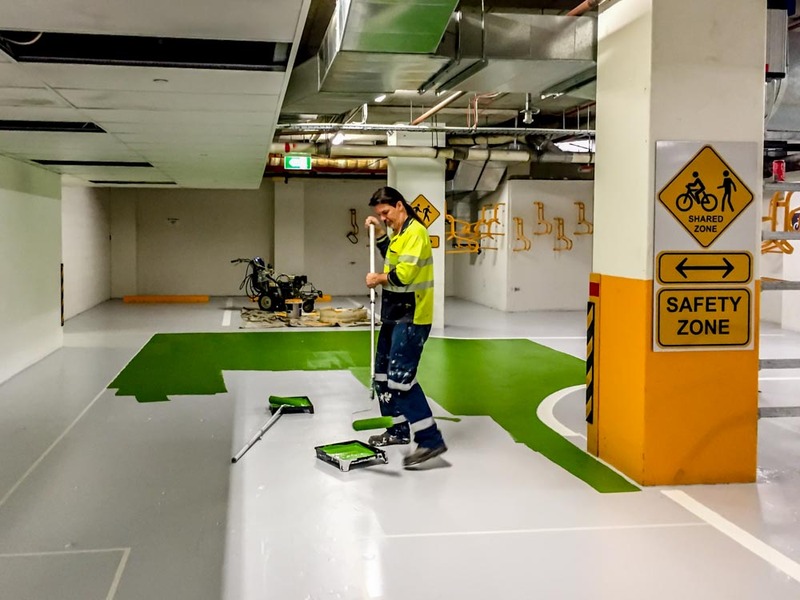 Apex Line Marking has the best staff in Sydney, they are well trained, experienced dedicated and well equipped by our company to service any car park in Sydney. We can offer either thermoplastic or traditional paint line marking products. We specialise in factory safety marking and pedestrian demarcations. Our thermoplastic service is essential in these areas due to the high pneumatic tire traffic that occurs in these areas. Water borne paint line marking will not cut it in these environments. Our company has been involved in a number of major airport projects including runway re-sheeting, remarking and taxiway remodelling. We work to the requirement of the Airports Act 1996, Airports (Environment Protection) Regulations 1997 and the Manual of Standards Part 139 – Aerodromes.